Is it safe to buy refurbished or used IT equipment? Will your used IT equipment work? Find out the answers to all your questions before you buy used networking and IT equipment. Are you planning to buy refurbished or used IT equipment? Buying refurbished or used IT equipment can be a great deal especially if you’re looking to cut costs when expanding your business. But is it safe to buy used networking and IT equipment? How do you ensure the equipment you pick is genuinely refurbished and not merely cleaned up, repackaged, and repriced? How much do you know about refurbished or used electronics? If you don’t know much, here are the frequently asked questions about refurbished IT products so you can learn more about them. 1. What’s Refurbished IT Equipment? Refurbished IT products are items that have been serviced and restored to working order. The best case is when an item is returned by the buyer without opening, maybe because they didn’t like it. The worst case is when the product is returned because it had a faulty part that required expensive repair or reconditioning. 2. What Are the Benefits of Buying Refurbished IT Equipment? One of the key benefits of buying reconditioned IT items is affordability. In the refurbished products market, you can easily buy a product for one-half to one-quarter of its original price. But that’s not the only reason why more and more people are embracing refurbished IT items. Here are more benefits of purchasing refurbished IT equipment. Before refurbished IT products are put back on the market, they go through rigorous testing and repair to ensure they’ll function properly in the actual working conditions. If an item doesn’t meet the required minimum performance standards, it will be subjected to the recycling procedure instead. Certified refurbished items come with warranties. This means that you can expect the same kind of coverage as you would get on new IT equipment. Unlike new items, refurbished items are tested in the real world, which means that they’ll be more reliable in the field and sometimes even more effective than the new products. Did you know that more than 44.7 million tons of e-waste were generated in 2016? That’s 8% higher than the 44.1 million tons disposed of in 2014. These figures are shocking, right? You’re probably wondering how we can reduce these overwhelming figures. Well, the answer is simple: embrace refurbished IT items. Every refurbished printer, laptop, server, smartphone, or networking product you buy is one less piece of electronics going to the toxic waste. If you’re thinking of introducing new technology in your organization, you might want to run a few tests to avoid equipping your team with a technology that might not work. Refurbished IT products allow you to try out new technologies at a fraction of the cost. If you buy brand-new IT products, your team will have to spend time learning how to install, configure, and maintain them. This is expensive and time-consuming. If you supply your IT department with the items they’re already used to, then the installation, training, configuration, and troubleshooting will take less time. Maintenance will also be convenient and inexpensive. 3. What Are the Pitfalls of Buying Used or Refurbished IT Items? One of the biggest pitfalls of buying used or refurbished IT items is that you could pick counterfeit or stolen items. Some products may also contain hidden malicious software that can be used to steal your business information. But this shouldn’t scare you! Here are time-tested tips that can help you to pick quality used electronics. Make sure you buy factory certified refurbished IT products–these products have been taken through thorough testing procedures before being presented on the market. Whether you’re buying online or at a local store, you should ensure the retailer you are dealing with is legit and has a good reputation. The retailer needs to be experienced to test, handle, and package used or refurbished electronics. The retailer should also know how substandard IT equipment look like and everything about the items they’re selling you. If you are buying a refurbished Cisco server, for instance, you need to ensure the retailer knows about Cisco systems and its refresh Program. If a retailer is confident that they’re selling high-quality refurbished IT equipment, they’ll back their products with warranties. If a product does not have a warranty, don’t buy it! Only do business with retailers that offer warranties. That way, you’ll have peace of mind knowing that you can return the item for repair in case something goes wrong. Does The Item Meet Your Needs? It’s essential to ensure the refurbished IT equipment you choose meets your current and future needs. If a retailer tests their refurbished items using rigorous testing procedures, they should tell how reliable the product is. Choose products that have a reliability rating of more than 99%. If the retailer has not attached a reliability rating on their equipment, don’t feel obliged to order from them. You should make sure the retailer you buy from has a working counterfeit abatement process, which helps them to identify and prevent the sale of fake products. Most IT items require specific accessories to function correctly. For this reason, make sure the item you buy comes with all accessories. 4. How Do I Ensure My Company Data Is Safe When Using Used or Refurbished IT Equipment? If you buy refurbished IT equipment for your company, you need to test them before you install them to find out if they contain any malware. Also, come up with strong security measures to keep your data safe. It’s also advisable to destroy the data in your old IT items before you discard them. 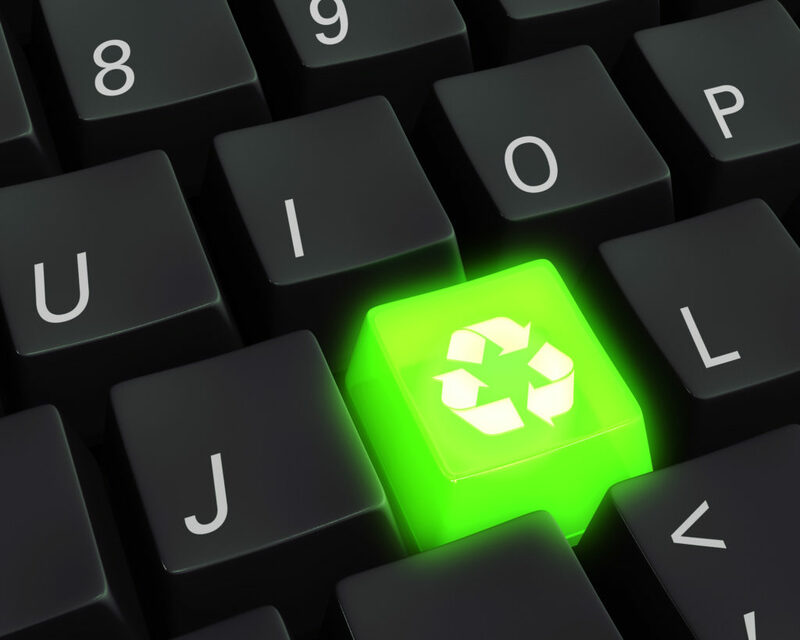 Buying refurbished IT items can be beneficial for many frugal businesses. You should, however, be careful and ensure you’re making a safe purchase. Remember to do a bit of shopping detective work before you buy used or refurbished products. This will help to prevent the mistakes that most people make when buying used electronics. If you have any questions or would like to buy or sell used IT equipment, you can contact us now.